Mills Row is a mid-rise condo building located in the Warehouse District of New Orleans. Mills Row is made up of 31 one and two-bedroom homes across five stories. This is a newer building (2007) and as such it has modern amenities like granite counters, stainless appliances and great balconies. 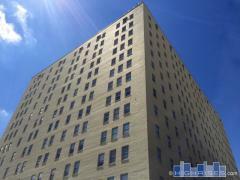 Have any comments or questions about Mills Row Condos? Ask your question and/or share your thoughts about this Building.